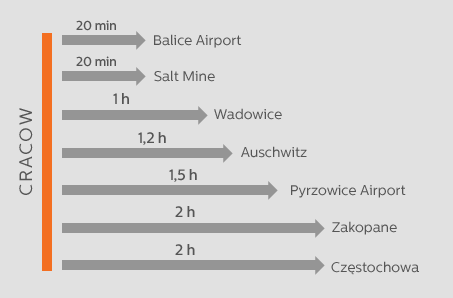 KrakowAuschwitz.com offers you private tours and car transfers to major tourist spots, such as Auschwitz-Birkenau, the Wieliczka Salt Mines and Zakopane. We provide comfortable & excellent service quality. Your journey will be safe and proffessional. We make sure that your trip will be easy and smooth. 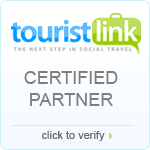 We will pick you up from every destination and help you with admissions fee. KrakowAuschwitz.com is fully licensed transport company. We encourage you to check our full offer. After confirming your reservation, on a scheduled day and hour our driver picks you up from your hotel. When reaching your destination our driver will assist you with buying the tickets and show you where to go for a nice and decently priced meal. Upon return to Krakow the driver will present to you other local attractions upon request. The estimated travel time is as follows (see the table).